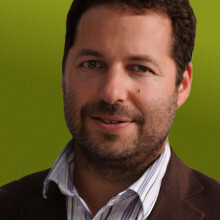 Micah Gold is the founder and director of Mobilise Public Ltd. Micah set up Mobilise in 2005, with the purpose of providing practical and innovative solutions to the public and third sector. Micah is an experienced senior consultant and facilitator. With a strong track record of enabling communities, he develops partnerships, influences and motivates at all levels of the organisation, and drives change. Micah is particularly skilled in developing innovative solutions within the public assets efficiency agenda, identifying better ways to use existing resources that maximise their benefit to communities. Micah has led a wide range of projects in recent years delivering improvement and efficiencies for local authorities, housing organisations and the third sector, and supporting the development of communities, their assets and organisations. His work includes large-scale engagement and insight work, neighbourhood and decentralisation strategies and implementation, service development and evaluation, and partnership support and development, including Community Budget approaches. Micah is a trustee of the Lambourne End Centre and helped build the not-for-profit education organisation, Limmud – now a global charitable company that promotes learning and cohesion in the Jewish community. A native Liverpudlian, Micah holds degrees from the London School of Economics and University of Greenwich in Economics and Social Psychology and Youth and Community Work. Julia joined Mobilise in 2012 and works specifically on our youth based projects. Julia is a senior JNC qualified youth work practitioner with 23 years experience of progressive front line delivery of targeted youth work and award winning and nationally recognised gang intervention work. She is experienced in leading and delivering a range of targeted youth work interventions including detached work; group work; individual work; workshops; training; experiential learning; residential and youth exchange programmes. She is a highly experienced youth work manager and has worked with a number of local authorities, understanding their systems and approaches and undertaking quality research. 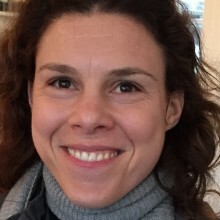 Prior to joining Mobilise, she was the London Regional Development Manager for the Brathay Trust, where she led on the frontline delivery of targeted youth work programmes and operational delivery for a range of gang intervention programmes. 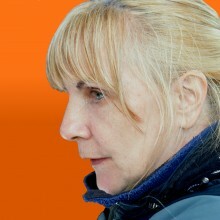 Between 2002 and 2008, while working for Lambeth Council as the Brixton Town Centre Team Leader, Julia designed delivered and raised all external funding for the X-it, Gang Intervention Programme (Winner of The Guardian Public Sector for Services to Children Award 2007); and “X-it Online” (National Winner of “Actions Speak Louder than Words” Award 2007). It was identified from an independent evaluation of the X-It programme, that 72% participants desisted from offending during a 12 month period (Professor Pitts, J. 2007). Sarah Castro MBE has over 20 years’ experience working with charities, local authorities and in social housing. Amongst her many assignments she has led pilots and pathfinder programmes focusing on a range of issues including community engagement, crime, anti-social behaviour, health & wellbeing and more recently, preventing violent extremism. Sarah is values driven and experienced in mediation and facilitating dialogue. Sarah has worked in some of London’s most disadvantaged communities and is currently an Independent Advisor to the Metropolitan Police during critical incidents and acts as an independent observer on high-level operations. She also works with the Trident Gangs Unit on their community engagement strategy. She has 10 years experience working for a leading social housing organisation where she became senior manager for communities and neighbourhoods and strategic lead for community cohesion and health bringing in £2m of corporate funding. Deborah is an experienced consultant, with experience across the public and voluntary sectors. 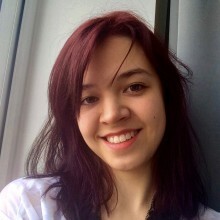 She joined Mobilise in 2018 and currently also works for the Cranfield Trust where she leads consultancy projects across a range of areas, supporting charities with business planning, organisational development, outcome evaluation, management and strategy. 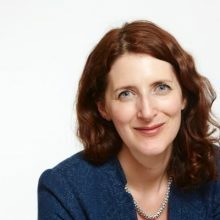 Prior to this Deborah spent over a decade in the Civil Service where she worked as a Senior Civil Servant in Cabinet Office and Department for Education leading policy development and change programmes. 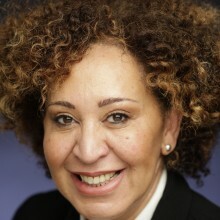 Deborah led the Government’s work on Early Years policy, led the programme to improve good governance across Whitehall and initiated the cross-government Diversity and Inclusion programme. Through the delivery of all of this work, Deborah has been used to continually building outcomes based thinking into all that she does. Deborah brings particular expertise in organisational strategy, diversity and inclusion, governance and performance management. Outside of work Deborah is a longstanding trustee of Coram Life Education, the Vice Chair of a Primary School and a Fellow of the Royal Society of Arts. Sara is an experienced consultant providing support and analysis across a range of Mobilise projects. Her first career in journalism and writing gave her extensive skills in the written word, communications and getting key messages across. She has since developed significant experienced in local government, project and event management, and economic development. As a Town Centre Officer for the London Borough of Brent, Sara supported the delivery of a range of activities including event management, visiting markets, business networking, and LDA funded regeneration programmes in Wembley and Willesden. As a consultant she has led funding bids, provided project management support, developed street markets, supported a neighbourhood forum and capacity built business associations.